This condo in Makati is beside Greenbelt, right in the middle of the Middle Central Business District, behind the Asian Institute of Management in Paseo de Roxas, Legaspi. 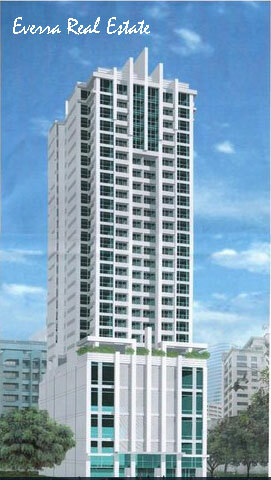 Mosaic condo in Makati is fronting Greenbelt and offers an overwhelming view of the Makati skyline. AVIDA Towers Makati West is a masterplanned community of 2 affordable condominium towers, each having an L-shaped design for optimum views from each unit. When completed, the project will boast of a Modern Tropical ambiance with its lush landscaping. This 6,400 sq.m. project is a joint venture project of AVIDA Land Corp. and Equimark-NFC Development Corp. AVIDA Land Corp. is the affordable developer of Ayala Land, Inc.
Called The Gallery, this 32-storey condominium will house 300 units priced from P2.3 million to P5 million each. 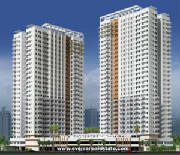 It is located along Leviste Street in Salcedo Village. Project construction was started this month and would be completed in November 2011. The Gallery marks Crown Asia's first entry into the high-end market following its affiliate Brittany Corp., which launched its first upscale condominium called Mosaic at Greenbelt last year. 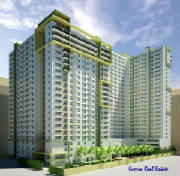 AVIDA TOWERS SAN LORENZO is the newest condominium project of Avida Land Corp. It is an exclusive 8,070 sq.m. property composed of two (2) towers. This new condominium offering is a Joint Venture between Avida Land Corp. and Makati Greenbelt Palms Land, Inc.
Avida Towers San Lorenzo is located along Chino Roces Avenue, Makati City just across Don Bosco and beside Waltermart. It is accessible to all directions, hence accessibility and mobility is no hassle at all.